This country in the south of the Indochina Peninsular fully deserves its title as the ‘Kingdom of Wonder’ as conclusively revealed through Mick Shippen’s stunning, intimate photographs and his informative text. 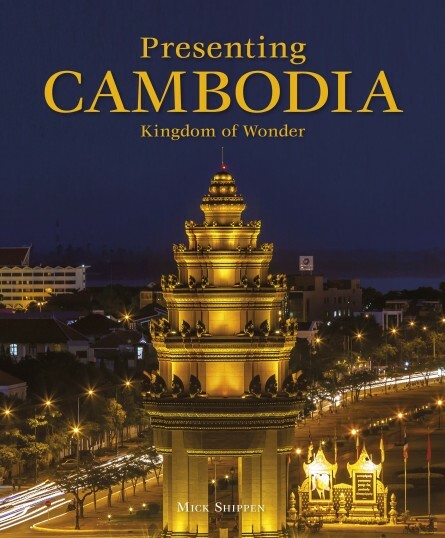 The first section gives an overview of the history, geography and culture of Cambodia, followed by regional chapters covering the landmarks in and around Phnom Penh; the awe-inspiring temples of Angkor; Sine Reap’s floating market; the beaches of the south coast; and the natural wonders of the northwest and eastern parts of the country. Size 260 x 215 mm / 10″ x 8. Extent 160 pages.